A pair of deadly new villains make their raucous debut as the Dark Knight stalks the streets of his "Broken City" in search of a murderer! 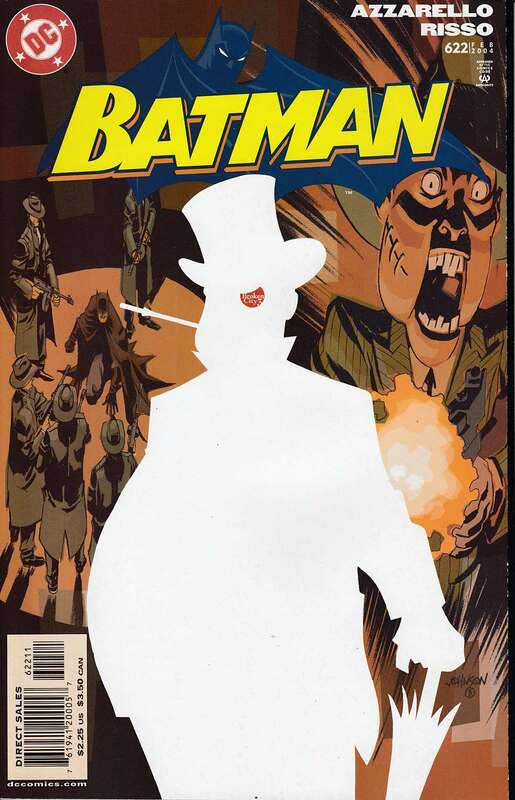 It all goes down in BATMAN #622, by the award-winning 100 BULLETS creative team of writer Brian Azzarello, artist Eduardo Risso and cover artist Dave Johnson! In Part 3 of the 6-part "Broken City," the hunt for murderer Angel Martinez continues...but the closer Batman gets to him, the more his own dark past comes into focus! And with a little help from his old "friends" The Penguin and Scarface, Batman's troubles are going to get worse before they get better.